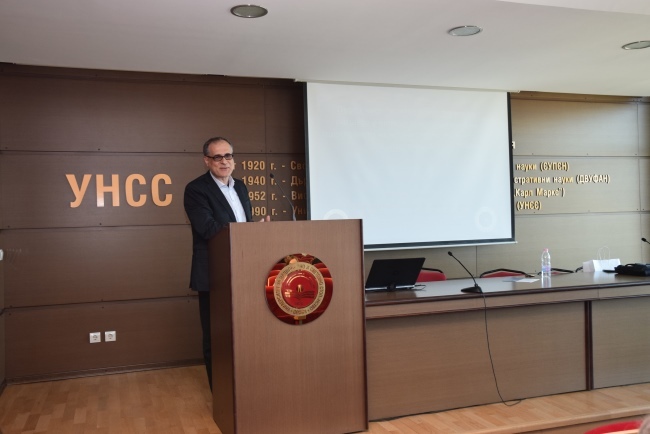 MRC regularly invites researchers and experts to hold lectures in the University of National and World Economy. Some of these events are part of the work of the group on Comparative history of economic thought (Click here for more information about this group). 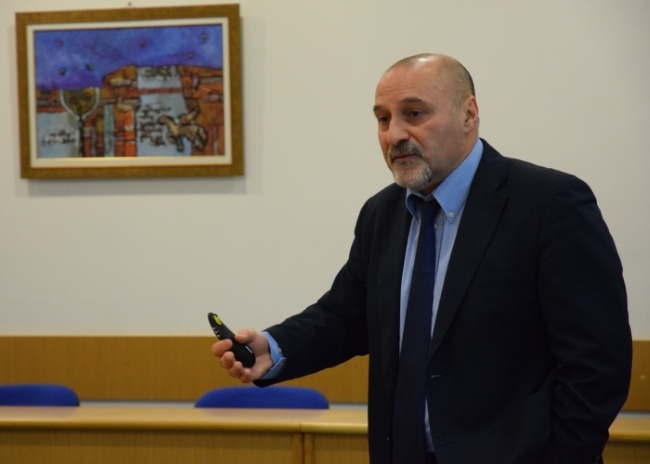 10 March 2017 - Prof. Antonio Magliulo held a lecture on the topic "Europe after Brexit"
23rd March 2017 - MRC and Department of Finance at the UNWE hosted a public lecture of prof. Dimiter Ialnazov from Graduate School of Advanced Integrated Studies in Human Survivability (GSAIS), Kyoto University, Japan on the topics New type of graduate school aimed at developing young future leaders and The energy transition in emerging and developing countries: drivers and challenges. 13th May 2016 - Monetary Research Center and department of Finance at UNWE welcome prof. Jean-Paul Guichard who is 'ad personam Jean Monet Chair' of EU.